Guest access – An easy way for visitors to get online. Give password-protected Internet access to visiting friends and family while keeping your own information private. No need to remember the guest password, it’s in the app. Simply email the password to your guest and they’ll be online in no time. 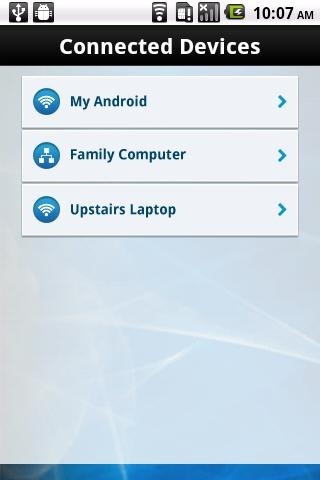 Add devices to your network – Quickly connect your computers, gaming consoles, tablets, and other Wi-Fi enabled devices to your network. 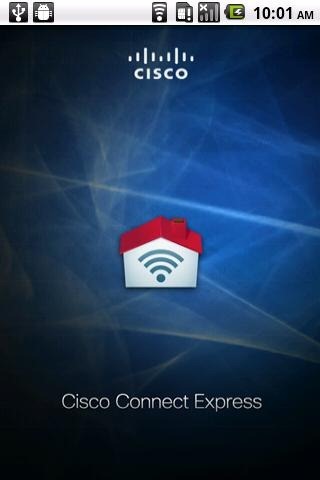 You can add them manually, or with Wi-Fi Protected Setup™ if your device supports it. Access Wi-Fi settings – Access your network name and password at anytime from anywhere in your home. If you need your password to add a device manually, quickly access it via your app. 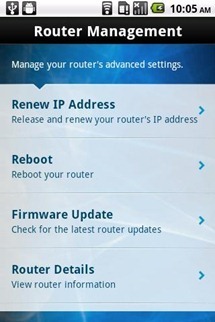 Access router features – Keep your router up-to-date. 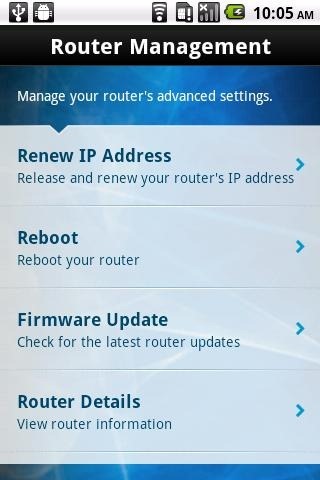 Check for firmware updates and view details about your router, including model name and number, serial number, firmware version, and more. 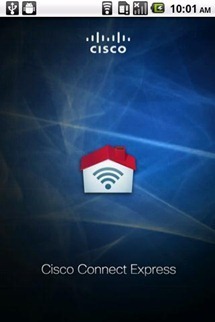 Plus, easily get a new WAN IP address or reboot your router. The app only works on Android 2.2.1+, and is only compatible with Linksys E-Series, X-Series, and Valet home routers, specifically these models. At the moment, it's only in the 100-500 installs range, and has an average rating of 4 stars.